Leave a comment below (see giveaway information at the end of the post) for a chance to win a copy of this picture book. Death is a part of life. As the mom of a five-year-old, I know how hard it is to talk about death with my child. It’s only in the past month that I’ve even broached the subject because I needed to (i.e., My daughter, Isabelle, wanted to meet a singer who is deceased. I had to explain to her that wouldn’t be possible since that singer got sick and went to heaven a few days after Isabelle was born.) in order to be truthful with my child. As an educator, I appreciate books that deal with death in a way that is sensitive enough for young children. Until I attended NJSCBWI earlier this month, I only knew of three books I could use with young children that dealt with death: Badger’s Parting Gifts by Susan Varley, Boats for Papa by Jessixa Bagley, and I’m Right Here by Constance Orbeck-Nilssen. I met author Caron Levis after her NJSCBWI Session, “Sweet Emotion: Creating Moments of Emotional Resonance for Middle Grade and Picture Book Readers” earlier this month. The topic of her presentation, which also included Caron’s agent, Emily Mitchell, was how and why to infuse emotion into writing in meaningful ways. During the talk, Caron suggested it’s an author’s and an illustrator’s job to allow the reader to feel in the blanks when reading a picture book. I wasn’t exactly sure what she meant about this until I read her most recent picture book, Ida, Always, at the end of the session. After reading it I realized Caron had a frank, honest, and age-appropriate way of talking about loss, specifically death, with young readers. There are many places in her book (e.g., white space, at page-turns) where the reader is free to linger, interpret, and question what’s happening emotionally in this touching story. Cadence: A way writers stress or emphasize points in their writing. The rhythm of writing pushes readers forward, which keeps them engaged. Caron’s writing rolls easily off of the tongue; it’s pleasing to the ear. The rhythmic quality of her writing makes this text easy to hold up to students whose writing might sound choppy or disjointed. Study Ida, Always with kids who need help with the cadence of their own writing. One way you can do this is to invite students to engage in copy change, which is when students can mimic the same pattern or sentence structure as Caron uses while changing the rest of the words it fits their writing. Repetition: A recurring word, phrase, or line that has a desired effect. Click here to enlarge. IDA, ALWAYS. Text copyright © 2016 by Caron Levis. Illustrations copyright © 2016 by Charles Santoso. Illustrations used by permission of the publisher, Atheneum Books for Young Readers, New York. Setting Details: Writing that provides readers with a sense of place through vivid descriptions of settings, including the period, weather, location, or time of day. This page (right) is one of the many places in the Ida, Always that creates a strong sense of place. Invite young writers to include a balance of setting details throughout their writing. Encourage them to use precise language to describe the setting to paint an image in the reader’s mind. Setting Lead: A vivid description of where or when the story takes place in the first line, lines, or pages of a book so as to hook readers and make them want to read on. The first page spread of the story helps us understand where Gus lives (“in a big park in the middle of an even bigger city”). Readers understand the park is surrounded by buildings and that zookeepers and visitors came and went from the park where Gus lives. While the first page spread doesn’t scream New York City, it provides a vivid description of how the Central Park Zoo fits into Manhattan’s landscape. This setting lead gives readers a sense of place — even though it doesn’t explicitly name where the story takes place — which invites readers in and makes them want to read on. Invite students to weave a variety of setting details into their lead to provide their audience with a strong sense of place. Show, Don’t Tell: Instead of stating what’s happening, an author uses action, internal thinking, dialogue, and figurative language to help readers envision what’s happening in the text. IDA, ALWAYS. Text copyright © 2016 by Caron Levis. Illustrations copyright © 2016 by Charles Santoso. Illustrations used by permission of the publisher, Atheneum Books for Young Readers, New York. At right, you’ll see one of the many places in the text where Caron shows, rather than tells, how the Gus was feeling. (Even though real bears don’t talk, I believe adding the dialogue highlights the emotional pain Gus felt and makes this scene more real.) After studying at least two places in the text where Caron showed, rather than told, what was happening, invite students to find a place in their writing where they told readers what was happening; encourage them to revise by showing what was happening. Have students use actions, thoughts, dialogue, or feelings to help their readers understand the characters in their writing. In an effort to keeping this post becoming as lengthy as one of the lesson sets from Craft Moves, I’ll let you know there are at least three other craft moves (i.e., power of three, varied sentence lengths, and wraparound endings) you can teach young writers when using Ida, Always as a mentor text. And, of course, there are even more possibilities. These are just several of the ones I found. If you choose to adopt Ida, Always as a mentor text for your writing workshop, I encourage you to download the in-depth activity and discussion guide for Ida, Always. It is filled with activities and suggestions for how to use this book in meaningful ways in the classroom. This giveaway is for a copy of Ida, Always. Many thanks to Atheneum Books for Young Readers for donating a copy for one reader. For a chance to win this copy of Ida, Always, please leave a comment about this post by Friday, June 24th at 11:59 p.m. EDT. I’ll use a random number generator to pick the winners, whose names I will announce at the bottom of this post, by Monday, June 27th. NOTE: Atheneum will only ship to U.S. mailing addresses! If you are the winner of the book, I will email you with the subject line of TWO WRITING TEACHERS – IDA, ALWAYS. Please respond to my e-mail with your mailing address within five days of receipt. Unfortunately, a new winner will be chosen if a response isn’t received within five days of the giveaway announcement. Thank you for sharing Ida, Always and the other books on this challenging topic. I always used Freddie, the Leaf with students. And with the regent tragedies of this week, it’s a timely share and read. I am in love with this post. I teach in an area where we need more books and lessons on sensitive subjects. I also loved how this can be used for writing! What a terrific resource to add as a mentor text. Loved you sharing possible applications! This looks like a great book. Excellent write up as well! Please (randomly) pick me! Thank you for suggesting a mentor text so rich in possibilities! Went to the library and was tearing up after my first read. It’s in my shopping cart if I’m not lucky enough to win. “Feel in the blanks”! I love it! Sounds like a beautiful book on a difficult topic. I love the mentor text ideas, too. Thank you! A beautiful book! I would love a chance to add this to my classroom library for both writing and reading. Ah, “feel in the space”. So beautiful! This is a must have! Thank you for sharing this with us. Ida, Always has been on my radar for a while now. Your post makes me want to read it & use it even more now. Thanks for the book info and tips on how to use it. I think teachers need lots of resources to talk about loss. It is good to know about this one. It’s always good to have more book ideas, especially to help with difficult topics! What a wonderful book! And the craft move ideas are helpful, as always. I, like Sally, love The 10th Good Thing About Barney. Wow, this is incredibly awesome! I just downloaded the guide. Would LOVE a copy of this book! Double oops! The author of Chippy Chipmunk Friends in the Garden is Kathy M. Miller. I left this correction on the wrong post. So sorry. Thank you for this timely post. I would also suggest another picture book that is written and illustrated by PA author Cathy Miller. The title is Chippy Chipmunk Friends in the Garden. It is the third in a series of photo illustrated books about Chippy’s adventures and presents loss with compassion. It was on the Primary list of books nominated for the 2016nKeystone to Reading Book Award. Stacey, we’ve read IDA, ALWAYS several times at my house. So beautiful and touching. The first time I quickly read it to myself and teared up. Then reading it aloud to my girls … I was a blubbering mess! But for me it was a moment to show them how books can touch our hearts. A few weeks went by and the book was selected again. My one daughter starred at me as I was reading to see if I would cry!! I thought I wouldn’t because “I know what’s going to happen” … But that cadence and pause in the book got me again! We talked about the illustrations and white space too. Thanks for showing me more emotional craft moves with this book. Just love it! What a beautiful way to explain loss to a child! And excellent mentor examples for use in Writers Workshop. Would love to add it to my collection! Ida, Always sounds like an excellent book. Death is not an easy subject to discuss with anyone; no matter if they are young or old. I like that this book can be used as a mentor text. A new mentor text? Striving for better writing? Addressing difficult topics? Always! Thanks for the giveaway offer! Thank you for this post! My TBR continues to grow. Thank you to the author and to the sponsor of this giveaway. Thank you for your wonderful insights ! Even if I don’t win, I look forward to using this book next year! This looks like a “must have” book, not just for WW but to share when needed. A great resource to add to any teacher’s library! This book will be a nice addition to my class library. Unfortunately our community has lost several parents and loss is something we continue to deal with on a regular basis. I just got your book, Craft Moves and can’t wait to get started reading it. This post makes me pretty excited about what I’m going to find! Great ideas for this one book. I have to have it! Thank you for so many wonderful ideas to use this book as a mentor text. Love all the mentor text ideas! I can’t wait to add to my classroom library. Plus will use as a gift for students who lose someone in their lives. Beautiful. Loss is part of life. Thanks for sharing and the chance to win the book! Thank you for posting all the ideas on how this text can be used in Writer’s Workshop. It’s something I would print out to keep with the book on my shelf of mentor texts. I teach 6th grade and can see this book taking a special place in our classroom. Thanks. I’m a member of the California Writers Club, High Desert Branch, with over 100 members. I would share Ida Always for the parents, teachers, and children’s lit writers in the group. Thanks for all the great strategies to use with such a lovely book! As a Grandma whose grandchildren are currently experiencing a death in the family, this post is timely and valued, personally as well as professionally! If I don’t win this book, I will definitely buy it! Thank you! The craft looks great even in the digital sample pages. I’d love to hold the printed masterpiece in my hands and read the entire text. A promising case study for illustration and publication classes, too. What a beautiful book and what beautiful applications! So timely. So important. So needed. I would have loved to attend that session at NJSCBWI! Thanks for giving us a glimpse and your wonderful ideas for bringing IDA into the classroom. Ida, Always is an awesome book. Thanks for your post! Looks like a great mentor text. Thanks for introducing it to me! Wow! This book sounds like a must have for a teacher. 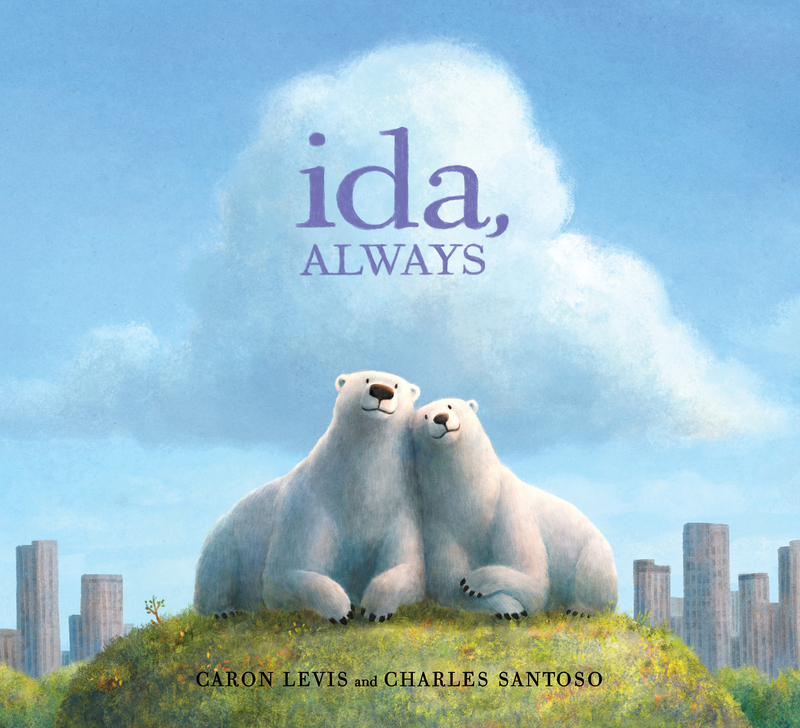 Ida, Always is a mentor text that I will definitely use with my sixth-graders. There is nothing like a well-crafted example to get the message across and trigger a writer’s light-bulb moment. I will share this title with my colleagues; a sensitive but real topic to thoughtfully broach with our students. Oh so sad and so beautiful and so needed. Thanks for the book lead and the ways it can be used as a mentor. This book sounds amazing! I’ll be adding that to my mentor book list. Thank you for suggesting it. Thanks for sharing. Death is such a hard subject to broach with young children. 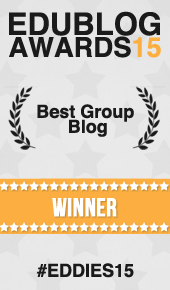 Your post, WRITING WITH EMOTION: A REVIEW & A GIVEAWAY OF IDA, ALWAYS resonated with me deeply. So many memories came rushing back from my college years (10 years ago) when I was taking a Death and Dying class and created my final project around children’s literature, it tied in beautifully since I was tandeming working on two degrees, teaching and sociology. In addition, I just last night had a vivid dream, I felt and saw my mom hugging me and listened and heard her voice filled with love and encouraging words. She passed away in 2012 and she will ALWAYS be with me. Whether or not I “win” Ida, Always, Caron Levi will absolutely be a new addition to my writing workshop mentor texts set. Aah, that looks like a keeper. I loved this book from the first read. Now I’ll love it even more as a mentor text with all the great ideas you’ve shared in the post. This book sounds like a must have for writing instruction as a mentor text. Thanks so much for sharing. Revisiting a mentor text for various reasons over time is ideal. It becomes an old friend. I’m going to check out (maybe win!) this book and the others you mentioned that you knew of that deal with death. The one I always use with kids is Judith Viorst’s The 10th Good Thing About Barney.